Shark Ninja - Marketsmith, Inc.
For most Americans, coffee isn’t so much a beverage as a passion—we drink it in multiple ways throughout the day. 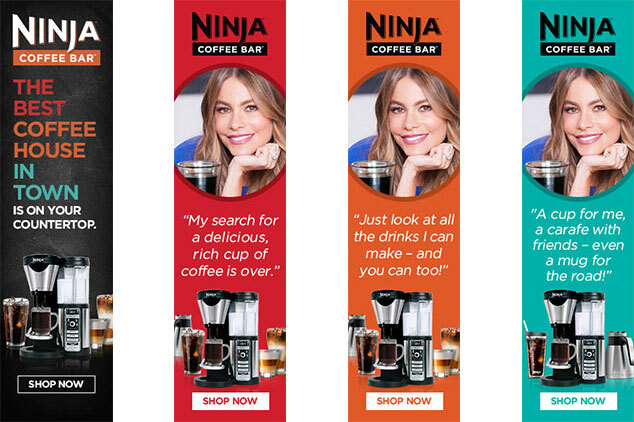 So we recruited the world’s most passionate coffee drinker, Sofia Vergara, to help tell the brand’s story. Then we brewed up a mix of media to reach consumers when their passion for coffee was most top-of-mind, from added-value media on morning shows to geo-targeted mobile ads when consumers were walking into Starbucks. The brand quickly became the number one coffeemaker SKU at key retailers.